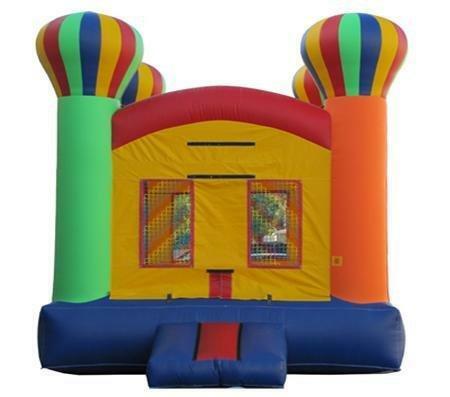 The Balloon Bounce House is perfect for all occasions. The kids will be amazed by the towering hot air balloons an all 4 corners. This bounce house comes with a basketball hoop inside which will provide even more fun than just bouncing.